Our Wiki for Kids search resource is now located on the top of our new website for easy access along with our additional safe search tools. 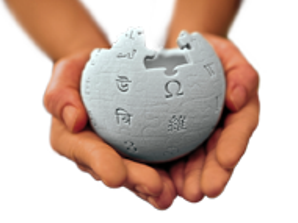 Wiki for Kids is a filtered Wikipedia resource that provides articles in Simple English. It is similar to Wikipedia’s Simple Edition with the added benefit that our site filters out content that is not appropriate for children and teens. The internet is a very valuable and powerful tool, putting a world of information at our fingertips. The web has definitely changed the world, including the way kids do their research for school, homeschooling, or general curiosity. We have partnered with the KidzSearch Wiki to safely meet these needs. Safe – because potentially inappropriate images and text should be filtered out. It’s a no brainer. Readable — because it’s good to widen your vocabulary, but new information should also be easy to understand instead of overwhelming for young children. Accurate — because if there’s ever a place that attracts misinformation, it would definitely be called the internet. Those are three of the many reasons why parents and teachers have to do their own research before putting a child in front of the keyboard for some fun, modern learning. Wikipedia is a free open content online encyclopedia where people from anywhere in the world can contribute information on any topic in different languages. Wiki articles can be edited to make corrections as well. The Simple Edition of Wikipedia uses words and grammar that is ideal for children, and also provides a shorter more concise version of the original article. Wikipedia is not considered a 100% credible source of authority information for academic research, because it has been created as an easily accessible index and/or textual condensation of primary and secondary sources for information about anything and everything. Since Wikipedia can be updated by any person, at any time, parents and teachers should instruct children to confirm information through reliable sources. Examples of reliable sources include published works, almanacs, guide books, survey articles, timelines, and user guides. A scholar may also use a bibliography, dictionary, or encyclopedia as either a textual condensation or a secondary source. The information you are researching will be there in one easy to navigate online encyclopedia. It will definitely help you understand where you can look for more information on that topic. Since the language (words and grammar) used is much simpler and easier to understand, Wiki for Kids is ideal for young children who are already learning something new and challenging. So now that we’ve established the free benefits and expected limitations of Wikipedia, here is some information to help kids explore a topic. Anytime you write or publish information that you found online, you must include a citation for the original resource. Give credit where credit is due! Cross check facts using multiple sources, and choose the most reliable source for your citation. Avoid downloading any programs or images that you find online until you check with an adult first. 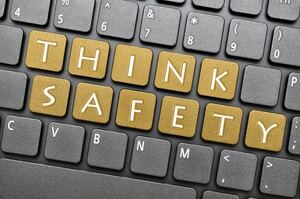 Learn about online safety to keep from clicking links to inappropriate sites. Advertisements on the internet are deceiving by design. You have not won anything! Never give out your personal information on the internet. When creating usernames, do not include like your name or birth date. This counts for giving out personal information. 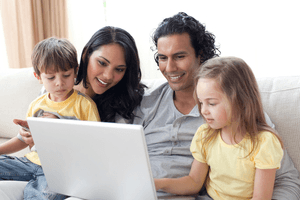 Conduct a Safe Wiki for Kids search at the top of our website.